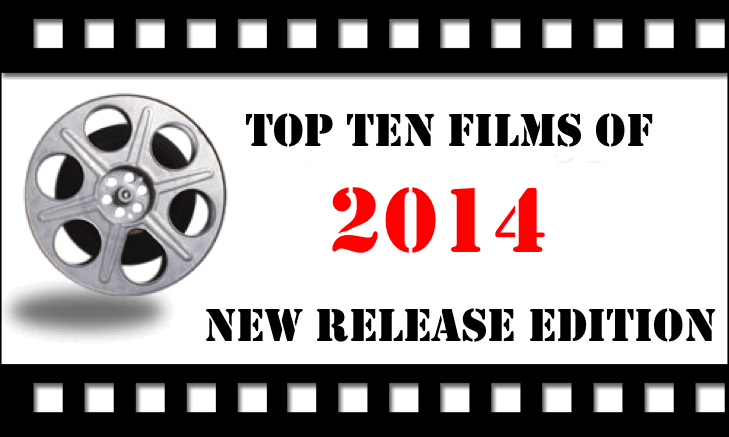 The Top Films of 2014 – Did You See That One? Every year I see a lot of new movies in the theater. I’m lucky to live in Southern California where the opportunities to see films are everywhere. Like most years, there were great movies, surprise successes, and major letdowns. This is the list of my top ten films from 2014. I haven’t seen everything that I’d like to see yet, so the list could change. For now this is how I see things. This movie was one of the more anticipated films of the year for me. I wasn’t sure what to expect from such a unique mix of talented actors. Carell, Tatum, and Ruffalo all blew me away with great performances. While the movie isn’t perfect, it was good enough to break into the top ten of a good year. Strangely entertaining, this is another gem from Wes Anderson. The characters are so wonderfully written that the story brings a whole new world to life. The acting takes over and does a great job. One of the more entertaining comedies I’ve seen in a while. I wasn’t sure what to expect from this one. It’s hard to make a film about someone like Martin Luther King Jr.. You run the risk of sugarcoating the subject, or being overly critical. The balance is tough to find. Thankfully the story allowed him to be a great man and a flawed man all at once. The result is a movie that does a lot of great things and leaves a good message to go along with the story. The unique visuals in this movie are topped by fantastic acting from Keaton and the rest of the cast. The movie tells an interesting tale that opens up a strange and exciting world for the story to take place. There is something intimate and compelling about the drama that underscores the comedy and other elements of the movie. This movie is an assault on the sense that just pays off in every way possible. It stretches reality through a great story, and has a couple performances that are unforgettable. This isn’t a message film, and it doesn’t push a social agenda. This is just good intense drama built around great characters. If you want disturbing and gritty material, look no further than this one. The story has enough twists and turns to keep the tension building from the very beginning of the movie. The acting is wonderful. The payoff is worth it. Like Interstellar, this is one of the films that everyone was waiting for. It was worth the wait. I didn’t expect to like this one as much as I did. Along with Fury, this made 2014 one of the better years for war films. The acting is incredible and the visuals are gritty. If you’re interested in a movie that looks at the real cost of war, this is one you should see. Not only is the cost shown on the battlefield, but also in the homes of the soldiers who have returned from it. It’s no secret that this movie was popular among the critics. It took me a while to get to it, but I’m glad that I did. This is an honest and often sentimental film that really asks all the right questions without trying to find too many answers. This is definitely a top 5 film for 2014. I loved this movie. Cumberbatch has proven that he’s among the elite actors of his generation with this powerful performance. In addition, the film sheds light on one of the unknown heroes of World War II. The story is nicely written, and the cast does such a good job with it. A great start to the top three. After seeing The Imitation Game, I wasn’t expecting to beat it. Then I saw this one, and I loved it so much. This is one of the great emotional dramas of the last few years. I loved every aspect of the film, from Redmayne’s fantastic performance to the incredible score. This is my pick for Best Picture, and a movie I think everyone should see. What about your lists? Anyone think I made a mistake? What have I missed seeing this year? Wow. So The Theory of Everything is good, eh? I have been avoiding it. Looked boring. Guess I’ll have to reconsider and fix the fact that I haven’t gave it a chance! Best Actor Golden Globe was a good start towards confirming my love of this film. I hope you get a chance to see it. His performance is only part of what makes the movie work. Thanks!. It could change once I’ve finished catching up on the big films from last year. Didn’t see as many of these as I wished I had (and some aren’t even out in the UK yet) but of the ones I did see, Intersteller takes it. Not perfect but still brilliant. Redmayne as Hawking is still the best performance I’ve seen in a long while. Hope you get to catch up p on these movies soon. There’s a lot of good stuff out. Redmayne is great. It’s a tough year for picks though.